Vehicles with hands-free lane-changing systems are are expected to go on sale in three to five years. LAS VEGAS -- In a bid to commercialize hands-free cars, BMW Group and supplier Continental are preparing a large-scale road test involving dozens of vehicles. The goal is a production vehicle that can change lanes without the driver's intervention. Such vehicles are likely to enter dealer showrooms in three to five years. The test, which will be conducted early next year, will occur over a 500-kilometer (311-mile) route from Germany over the Alps to Italy, says Werner Huber, BMW's project manager of driver, assistance and environmental perception. "We will build a prototype car which can be cloned into 10, 20, 50, maybe 100 cars," Huber said. "That is what we are working on." BMW's plan for a fleet test signals a new step forward in development of hands-free vehicles. And if past trends hold true, lane-changing technology will trickle down from luxury cars to the mass market. BMW's test fleet of cars will accelerate, brake and change lanes without the driver's help for lengthy stretches at speeds ranging up to 130 kilometers per hour (81 mph). Production vehicles would employ this technology at lower speeds, such as in stop-and-start highway traffic. Most likely, BMW would offer this technology as an improved version of its existing driver assistance package. Luxury brands typically offer a "driver assistance" option that includes intelligent cruise control with automatic braking, lane-keeping and 360-degree road surveillance. BMW, Mercedes-Benz and Audi offer driver assistance options that can accelerate, brake and stay within a highway lane at low speeds without the driver's intervention. But those vehicles are not designed to change lanes. The three premium carmakers and others are racing to add that function, which is viewed as the next logical step for hands-free driving. Hands-free lane-changing could allow vehicles to avoid accidents and pass vehicles in stop-and-go highway traffic. But there are two major barriers. The first hurdle is technological: Sensors must monitor the entire 360-degree field around the vehicle. To do so, automakers are tinkering with various combinations of radar, lidar, cameras and ultrasonic sensors. Lidar uses lasers to measure distances. The second hurdle is legal: In the European Union, the Vienna convention requires the motorist to be in charge of the vehicle at all times. The United States has similar regulations. This isn't a big problem for hands-free driving as long as the car remains in one lane. But it gets tricky when the car changes lanes, says Alejandro Vukotich, Audi's chief of driver assistance systems. "The driver must always be in charge of what is happening," Vukotich noted. Vukotich believes lane-change technology will win approval because it's a useful safety feature. If cockpit sensors determine that the motorist is drowsy or incapacitated, the vehicle could steer itself to a safe stop by the side of the road. "We intend to bring [this technology] to market in the next five years, and we are doing everything we can to prepare," Vukotich said. "We are very, very focused on that." 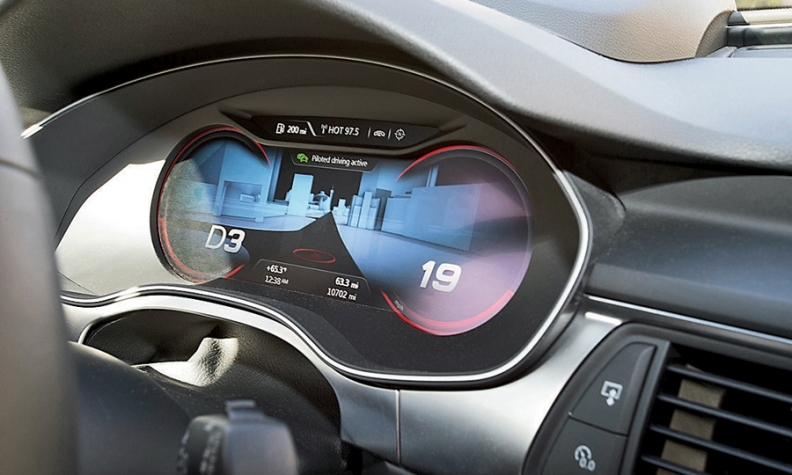 Christian Senger, Continental's senior vice president of automotive technology, says the focus now is to develop technology that consumers actually use. "It isn't new to have autonomous vehicles on the road," Senger said. "The question is how to put these vehicles on real roads for real consumers."